Agastache Giant Hyssop Lavender Blue Agastache Mexicana is a perennial that is native of southern United States and belongs to the Mint family. The plant is known by the common name Mexican Giant Hyssop. 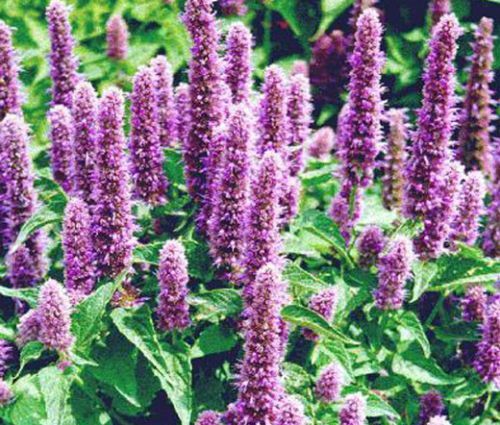 Agastache Giant Hyssop seeds are easy to grow, and this attactive plant produces lavender blue, bottle brush-like flowers from early summer to early fall. The nectar-rich flowers are highly attractive for butterflies, bees and hummingbirds. Agastache Giant Hyssop is great for mass planting in flower beds because of its delightful aroma and display. Mexican Giant Hyssop is easily propagated from Agastache Mexicana seeds and grows best in well-drained, acidic, neutral or alkaline soil in a sunny or part shade environment, tolerating drought and poor soil conditions. Giant Hyssop is an excellent cut flower.